I might re-post Persephone Chronicles re.write. I have been absent for I while, but I'm back! Awesome! BTW it's nice to know your face in your profile pic! Thank you evry much AC. I'm heartbroken but never defeated! It is indeed, Tim! You know, my mind goes to dark places at times. I wish you could be mine I wish for nothing, for nothing more than having you beside me, and holding you , and kissing you, and knowing that even in my worst nights you will hold me. I wish I could be yours, I wish for nothing, for nothing more than having you surround me, and holding me, and kissing me, and knowing that every time I feel alive I’ll hold you. How stupid is this life how dull and senseless If I can never have you hold me closer, And If I never kiss you, never hold you, You’ll never know how much I truly love you. This is something I need to share. Approximately nine months ago, one morning, as I was going to take a shower and get rady to work, I looked at myself in the mirror. I had gained 30 kilos (66 pounds) and I felt old, lost, sad. I realized then I had no clue to who the man in the mirror was. I saw the image of someone who had lost his dreams, his power to live, someone who had lost himself and I criedfor possibly an hour. That day I decided it was enough of doint that to myself and started dieting. 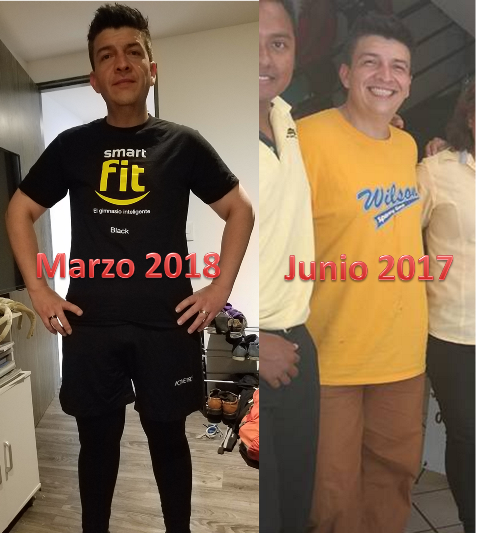 I have since lost 22 kilos (48 pounds) and started working out. I feel alive again, I feel like myself again and there's one thing I know: I never want to go back to that dark place again. EVER! That's quite an achievement! Good for you! Some writings in the wrokings ... Very very soon there'll be "Blue-eyed miracle", some poetry and a Christmas Story -a bit late, I know. Hugs everyone! good .. looking forward to it!! I think it's time I start writing again. My mind needs to fly to those fantasy worlds I create in which love always defeats everything else! Life hurts. But only when I breathe. When I was 10 we had the worst earthquake México ever faced. Today we had a 7.1 horrible Earthquake on the exactamente same date. It was the most horrible experience in my life. Fortunately we're fine. But many people are not. I pray for my country in these moments of desperation. I want to kiss every inch of your skin, softly, tenderly, passionately. I want to make you feel Like you’ve never been touched before, Like life begins today with my lips on your body. I want to leave no space of you unkissed. I crave the peachy feeling of your skin, desperately, anxiously, fervently. I want to sink my lips in every mount and crevice of your body, until you beg for more and leave no space of you unkissed. I want to devour you inch by inch, passionately, desperately, lovingly, I want to make you crave my touch at every passing moment, until you know I love you madly. I want to leave no space of you unkissed. It's passionate as it can be. Thanks for your feedback!